Campbelltown Arts Centre is pleased to announce its 2017 CAC/NAISDA Indigenous Dance Project, an exciting Masterclass opportunity for enthusiastic and committed Indigenous students in Years 9-12 studying or interested in dance. This annual partnership project between Campbelltown Arts Centre and NAISDA Dance College offers students from the Macarthur region the opportunity to participate in an arts and cultural program that develops professional pathways for young people, and strengthens their connections with local community and peers. The CAC/NAISDA Indigenous Dance Project is tailored to complement students’ High School studies, giving them the chance to explore their creative voice through artistic mentorship in dance, cultural knowledge and performance skills, led by some of the most promising young contemporary Indigenous dancers in Australia. This program includes several off-site visits scheduled both during and out of school hours. It is important that each student can commit to the entire program. There is no cost to participate in the program. All transport will be provided by Campbelltown Arts Centre. Before you apply, please note the following schedule and discuss with your parent/carer. Detailed schedules and travel information will be provided to selected participants. 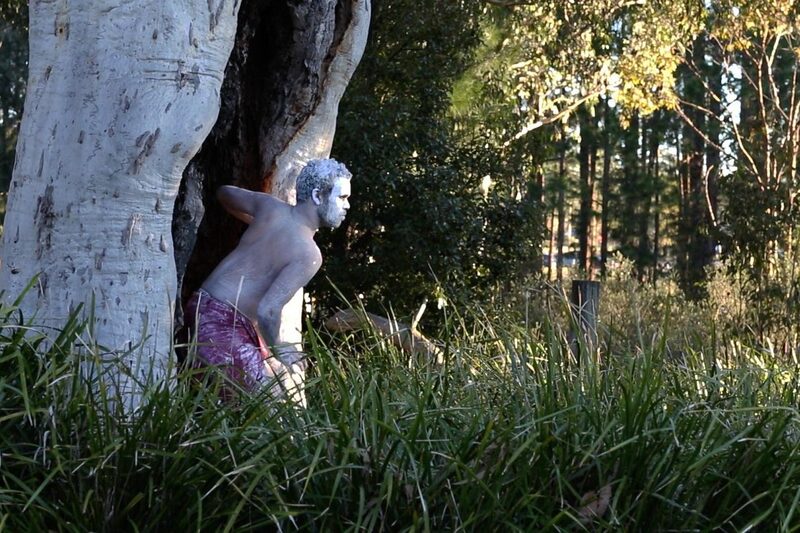 In this introduction to NAISDA Dance College, Gosford, students will see a professional production, the NAISDA Mid-Year Show, a series of performances held at NAISDA celebrating the work of the Developing Artists. The show will be followed with a Q&A by Director Raymond Blanco and an introduction to NAISDA Dance College as a leading organisation for tertiary dance study. Travel Details: Students will depart CAC at 9am sharp travelling by bus to Kariong, Gosford, and will return by bus to Campbelltown Arts Centre at 4pm. The day will begin at C-A-C by meeting local Elders from Campbelltown who will provide the participants with an overview of Indigenous history of the area. This will be followed by an on-country visit to key Indigenous sites in Campbelltown. The day will conclude with a workshop led by NAISDA teacher Raymond Blanco looking at how these experiences can inform the choreography and dance work to be made throughout the project. Travel Details: The day will start at approximately 9am and finish at 3:30pm. The schedule will be confirmed shortly. Hosted by NAISDA Dance College, the Dance Camp will give students the opportunity to find and develop their creative voice by providing a 3-day intensive artistic mentorship opportunity in areas of dance, voice, cultural knowledge and physical theatre skills. Workshops will be delivered by NAISDA Certificate III Developing Artists and directed by NAISDA Graduate and Choreographer Glen Thomas. and will return to Campbelltown Arts Centre at 5:30pm on Wednesday 18 October. Accommodation will be provided at the Bella Vista Motel, Gosford, (10 minute walk from the NAISDA studios). Presentation: Fri 27 October (6pm). Students will develop and prepare a presentation of what they have learnt through participating in the program. Family, friends and local community members are invited to attend. 1.Please complete the online application form by 4pm Friday 2 June 2017. 2. C-A-C will assess each application and select 10 students to participate. 3. C-A-C will then contact you, your parent/carer and your school to let you know the outcome of your application, by Tuesday 6 June 2017. 4. C-A-C will send your parent/carer and your school a permission form, including any medical needs and photo permissions as part of this program. The permission forms will need to be signed and returned by no later than Wednesday 21 June 2017. 5. C-A-C will keep you up to date via email of any changes to the schedule and travel times.